The SO302-4in1 is designed to replace up to six different, rugged workstations; eighteen rugged, inelegant switch/router ports; a mass storage system with ultra-fast transfer rates with RAID support; and an auxiliary power unit for orderly power shutdown with 50ms hold time power per MIL-STD 1275D into a much smaller, lighter package using far less power. The Tarantula is the third generation of the SZC91x "Zeus" which is widely deployed in Army WIN-T vehicles, unmanned vehicles, and hazardous applications where the computer is exposed to the harshest possible environments and also where size, weight, and power are the main considerations. 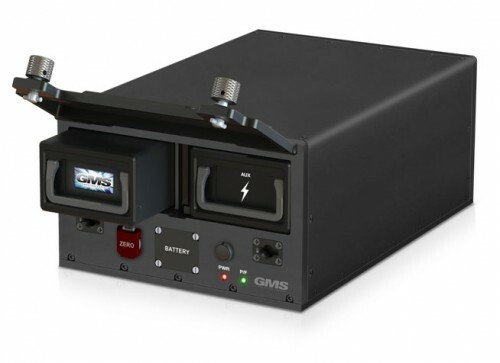 It is ideal for combat and surveillance vehicles where several computers are used for data collection, targeting/mapping, and data acquisition. The SO302-4in1 supports the most popular Hypervisors offered by VMware®, WindRiver® and Microsoft® and may be shipped from the factory with operating systems such as Windows® and Linux® pre-installed. The Tarantula is fully compliant to MIL-STD 810G, MIL-STD-1275D, MIL-S-901D, DO-160D, MIL-STD-461E and IP66. The SO302-4in1 "Tarantula" is a third-generation, fully rugged server. It is designed to replace a rack full of workstations, switches/routers, mass storage with a RAID controller and an auxiliary power unit (APU) by combining all four functions into one sealed system that is smaller than a shoe box. The Tarantula supports the highest level of server-class performance possible in a fully ruggedized, conduction-cooled system, operating up to -40°C to +85°C (-20°C to +75°C standard). The Tarantula is targeted for applications where an ultra-fast, multi-core CPU is needed with vast amounts of high-speed RAM that is protected by error correcting code (ECC). It houses six independent I/O modules (replacing up to six workstations) utilizing virtual machine technology with an 18 port Layer II/III intelligent switch/router and up to 16TB of SSD storage with a hardware RAID controller. The SO302-4in1 supports 10 physical CPU cores with Hyper-Threading for a total of 20 logical cores, each operating at up to 2.4GHz with ability to TurboBoost up to 3.0 GHz. To harvest this incredible CPU performance, the CPU is coupled with up to 128GB of DDR3 RAM organized in four banks. Each RAM bank consists of two DDR3 DIMM arrays with ECC. The ECC RAM provides 2-bit error detection with 1-bit of correction and supports up to 1600 Mega Transfers per Second (MTS) between CPU and memory which results in an incredible peak memory transfers of 60GB/s. The I/O subsystem for the Tarantula is designed to offer the widest array of high-speed I/O devices with modularity and security. The I/O consists of a host CPU I/O and six Virtual Machine I/Os (VMIO). The host CPU also supports one 4-lane XMC site (lose six SAM™ I/O sites on VMIO), one 10-Gigabit Ethernet port with support for copper or fiber cabling, four USB 3.0 and two USB 2.0 ports with power, two serial ports with RS-232/422/485 buffers, full HD-Audio, and eight general purpose I/O lines. The SO302-4In1 also provides a very flexible set of storage devices with highly secure options. The Tarantula supports up to eight, 2TB SSD devices (16TB total), housed in a single, sealed, removable canister for easy removal and archiving. This removable mass-storage includes a hardware RAID controller that supports all major RAID configurations such as RAID 0, 1, 5, 10, 50, as well as custom configurations with optional AES-256, and secure erase functions with tamper proof protection. Additionally, the host includes one mSATA drive (up to 1TB) with optional write-protect for use as a local boot device and a removable Secure Digital (SD) card that is housed on the front panel behind a sealed door. Two SAM™ sites are also included with the host CPU that can be used to add I/O such as GPS for accurate positioning and time stamping of data packets, Wi-Fi/ Bluetooth and many other user configurable options. The Tarantula also offers an optional baseboard management controller (BMC) for detailed system health monitoring and reporting using industry-standard IPMI 2.0 via a dedicated Ethernet or serial port. 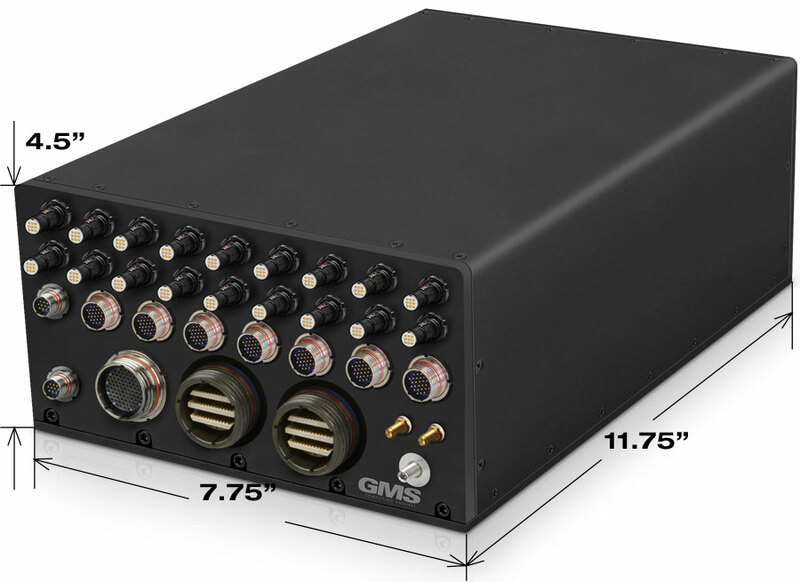 For applications requiring high-performance video output, the SO302-4in1 provides an optional SAM™ Video module, utilizing the most powerful AMD GPU (768 GFLOPS;10 compute elements) with dual DisplayPort or HDMI ports and one VGA video. In addition, the SO302-4in1 supports an optional removable auxiliary power unit (APU) that is capable of providing holdup power in the event of unexpected power drop-offs up to 10 seconds, allowing the system to perform an orderly shutdown to protect running applications. 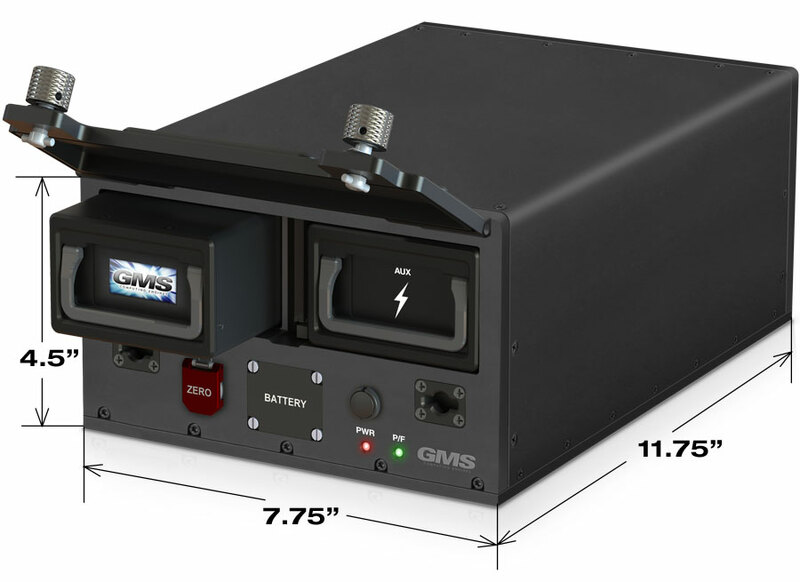 The APU supports an array of Super-Caps in place of traditional batteries, which eliminates the need for replacements and the hazardous issues related to batteries. The Tarantula's secure virtual machine (SVM) architecture allows up to six VM I/O sites. Each VM I/O site is fully independent and is configured as "share nothing architecture.” In addition, each VM I/O site is connected to the host CPU via PCI-Express lanes only, thus all I/O transactions are fully monitored and supervised with the TPM/TXT/VT-x security engines to ensure that the host CPU authorizes all accesses. Each VM I/O site provides dual Gigabit Ethernet ports, two USB 2.0 ports (USB 3.0 optional) with power, two serial ports with RS-232/422/485 buffers, and two SAM™ I/O sites. Each SAM™ I/O supports a variety of different I/O modules, including an mSATA as a dedicated boot device for the VM sites, a separate video output or capture, CANbus, MIL-STD 1553, or custom user I/O. The switch functions are controlled via a 416MHz MIPS CPU with 128MB of DRAM. The MIPS processor controls up to 18 Gigabit Ethernet ports and two 10Gigabit Ethernet ports. One of the 10Gigabit Ethernet ports is connected directly to the host CPU while the other port is accessible on the external connector, along with one additional 10Gigabit Ethernet port from the host CPU. The 10Gigabit Ethernet ports support a copper interface or a fiber interface with multiple fiber options. The Tarantula supports fully managed Layer II and Layer III functions, such as VLAN and QoS processing, enabling the delivery of differentiated services, security through intelligent frame processing, and egress frame manipulation. The Tarantula may be configured via the host CPU USB/COM port which is connected internally or via a Gigabit Ethernet port on the rear panel. The Tarantula utilizes the most powerful Xeon® processor from Intel®. The Ivy Bridge-EP CPU is a second-generation, 10-core Sandy Bridge microarchitecture processor with a fully integrated memory controller for the best possible memory performance. This CPU is the highest performance server-class CPU from Intel® with many added security functions, such as Intel’s second-generation Virtualization Technology VT-x, Trusted Execution Technology (TXT), and Converged Platform Power Management (CPPM) for thermal management and power saving. The graphics engine is based around the most powerful AMD full-size embedded MXM GPU module (768 GFLOPS;10 compute elements) for outstanding performance in 2D and 3D accelerations and can be fully virtualized. The I/O is provided via 40 lanes of PCIe 3.0 which are monitored via the Trusted Platform Module (TPM) to assure full security and safe operation. The Tarantula is equipped with GMS' patent pending RuggedCool™ technology, which is the most unique cooling system in the industry and is the only server that operates up to -40°C to +85°C. This cooling approach provides the lowest thermal resistance to the case while providing the highest shock specifications known in the industry. The SO302-4in1 is a stand-alone, fan-less system and should be mounted directly to a metal surface that provides a reliable conductive thermal path for dependable operation.